Headed back out onto Gallery Stroll again this month, not a bad night to be out and about. No blistering heat, nice crowds making their way around town, and a nice mix of contemporary, experimental and even sketch works across the city. Along with some music (and aside a few galleries not participating this time around) you couldn't have asked a better summer showing. So of course we're going to off the beaten path a bit and make out way East near Foothill for a massive display, that in itself could be a Stroll of its own. --- The A Gallery up on 21st East has been one of the longest running galleries in the city to feature local material. A fixture of the art community for over 27 years, they've done their best to showcase the freshest talent coming out of both the college sets and the practiced masters in town. The honor roll of people featured within their spacious hall could make a veteran art critic's head spin just to organize, let alone critique. For this Stroll they featured a forty artist meet-and-greet event with everyone's work scattered throughout the building, making for an interesting experience to see several different works in a single space. Rather than try to pick three or four artists from the bunch, today we chat with the gallery co-owner Greg Rogler, about creating the space and his impact on local art. Along with over 200 photographs from Friday's showing that you can check out here. Gavin: Hey Greg. First off, tell us a bit about yourself. Greg: I was raised mostly in New Hampshire and Oregon, and have lived in Utah for about 27 years. I love to ski, collect art and travel. Also I have had my own business in SLC the entire time. Gavin: How did you first take an interest in art and what were some of your early inspirations? Greg: As early as I can remember I wanted to create things and was fortunate to have parents that were interested in art, exposing my brother and myself to all forms by visiting museums and other art venues.The earliest inspirations that I remember were the Calder sculptures and mobiles as well as the Mies van der Rohe Barcelona pieces at the Boston Art Museum. Gavin: You got into college studying Graphic Arts. What was that time like for you and what did you think of the program? Greg: My art education was not all that structured, I had a combination of commercial art and business courses. Gavin: Back in 1983 you moved here from Portland and stayed ever since. What made you decide to make Utah your home? Greg: Came to Utah to meet my family for a ski vacation in Park City. I liked it here and was ready for a change from Portland. Gavin: When did you and Brent Godfrey originally meet each other and become partners? Greg: I met Brent in about 1986 shopping in a SLC Boutique. Gavin: How did the idea come about to start up your own art gallery? Greg: I was in the framing and poster art business in the early 80's , Fine Art was my real interest and the logical next step for the business to progress. Gavin: What was it like for you planning out how everything would come together, and was it pretty smooth going or did you meet a lot of difficulties along the way? Greg: Of course it was a lot of work with very long hours like any successful small business. Gavin: How did you come across the original location? Greg: I did a lot of demographic research before selecting the original location, Holladay was a great retail area at the time and could support the type of business that I was planning. Gavin: What was it like for you during those first few years? And how did the balance work out with you mainly working with the gallery and Brent doing art along side? Greg: It was a great adventure, we each brought different strengths to the gallery and I think a nice balance was achieved. 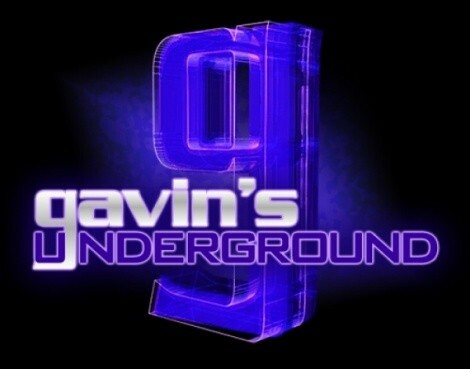 Gavin: Over time you grew quite a reputation for showcasing artists on the rise. What's the process like for you in choosing who to showcase? Greg: A Gallery has an artist application process, we review applications regularly as well as seek out artists creating exceptional work. Gavin: Who are some of the artists you've prided yourselves on finding and helped out over the years? Greg: Actually, I take pride in all of the artists A Gallery has represented over the years. Gavin: You've received awards and accolades over the years for your work and influence in the art community. What's your personal take on receiving those honors? Greg: While it is nice to be and supported by the community the best reward is being able to provide a venue and living for artists and staff at the gallery and having a positive impact on the viewer, perhaps creating new awareness and appreciation of the visual arts. Gavin: How did the decision come about to move the gallery in 2003? And what made you choose the location on 2100 East? Greg: "A" Gallery had expanded several times in the Holladay location. It was time to obtain our own space that we could have complete control of, the building we are now in became available, located close to downtown and areas that a lot of our clientele resides. We could see the potential to create a really great gallery space from it. Gavin: The building itself has an exceptional look, almost to where its a work of art in itself. What was the planning like for the look and feel to the building? Greg: Brent and I both worked very closely with architect Jill Jones of AJC Architecture. Brent did space planning and I did material selections, we salvaged and utilized as much material from the existing structure as possible. AJC received an AIA award for it in 2004. Gavin: Having been around for so long, what plans do you have in mind for the gallery in the years to come? Greg: To continue presenting the best art and custom framing in the area and further the careers of the artists A Gallery represents. Gavin: Tell us a bit about the "Meet The Artist" event you have going on for this Gallery Stroll? Greg: We've invited all of the A Gallery artists to show new works and be at the gallery for the evening engaging with the Gallery Stroll crowd and each other.The exhibition will be intact for three weeks following the event. Gavin: Having done these events before, what's its like for both you and the artist to have interaction with those coming to check out the works on display? Greg: It is a good time for all involved, it gives an opportunity for clients who have purchased or admired an artists work to gain insight from or show appreciation directly to them. Gavin: Going a bit local, what are your thoughts on our art scene, both good and bad? Greg: Salt Lake City and Utah overall has the benefit of being home to many talented visual and performing artists as well as great programs for the study of art and many top quality public art venues. For the size of the city I believe we have a very vibrant, diverse and active art scene. Gavin: Being a gallery owner, what's your opinion of other galleries in the city. And do you get along with each other or is there a competitive spirit? Greg: Personally I've had quite little interaction with other area gallery owners, the area galleries are quite diverse and each seems to have their own niche and loyal clientele I don't see too much competitiveness. Gavin: What's your take on Gallery Stroll as a whole and the role it plays in the community? Greg: Gallery Stroll serves a great purpose by being a consistent time for the public to visit several galleries and see a diverse selection of art in one evening. We see a lot of viewers in the gallery who would probably not visit otherwise. Gavin: What can we expect from both yourself and the gallery over the rest of year? Greg: A Gallery has great lineup of shows this fall. Brian Koch opening September 16th showing beautiful, subdued rural landscape paintings. Donald Yatomi opening October 14th with urban landscapes, stillife and industrial interior paintings. And our very popular Holiday Group Show opening the first week of December. Greg: The Brent Godfrey exhibition currently on display through September 26th at the Kimball Art Center is definitely worth a trip to Park City.